Nic Sheff was drunk for the first time at age eleven. In the years that followed, he would regularly smoke pot, do cocaine and ecstasy, and develop addictions to crystal meth and heroin. Even so, he felt like he would always be able to quit and put his life together whenever he needed to. It took a violent relapse one summer in California to convince him otherwise. In writing that is raw and honest, Nic spares no detail in telling us the compelling, heartbreaking, and true story of his relapse and the road to recovery. As we watch Nic plunge the mental and physical depths of drug addiction, he paints a picture of a person at odds with his past, with his family, with his substances, and with himself. 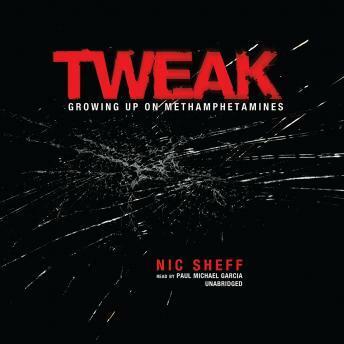 “Tweak” is a stellar compliment to David Sheff’s “Beautiful Boy”. As the parent of someone who struggles in & out of recovery from substance use disorder, I can tell you that the book of the father help prepare me & give me hope. The book of the son... gave me insight & perspective into my child that struggles. Nic often speaks in the moment of what he is sharing in the book, allowing us to hear the his thought process from those moments. This has given me a much better base of understanding for changes that occur within my daughter & the ability of her “addict mind” to override her healthy mind if she does not cultivate her recovery every single day. Thanks you Nic. You have no idea how much I needed that perspective. AMAZING BOOK!! Listened to it in 4 days!!!! -Loved the narrators voice(s) -The story never had a dull moment -Can’t say enough good things! Great book! I listened to the whole thing in less than two days. Great story of addiction to meth. Did not like the reader.